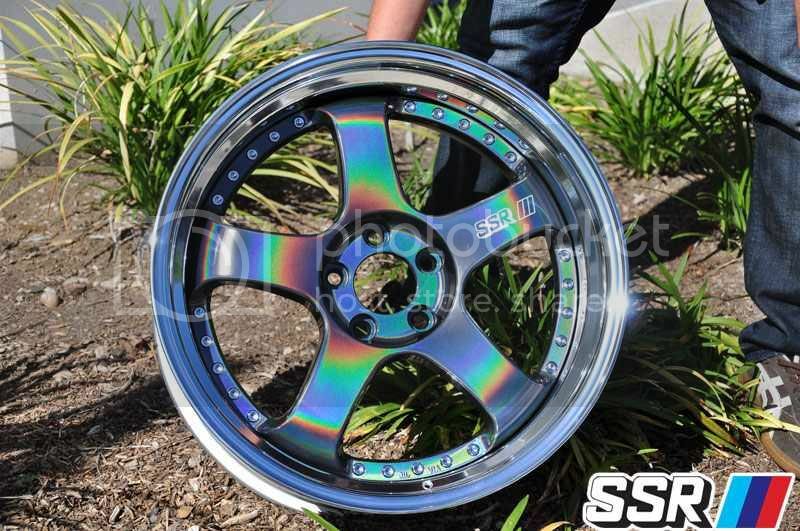 Anyone know a place that can do a Neo chrome/ titanium coating finish? I've called a few places but no luck. The original look came from torching titanium. The blue is from the heat and if you look at high end exhausts, you will see the same finish. The non-ti stuff that gets this finish is done via a chroming process. You need to find chromers with the right machinery to do this. Finding a local place might be hard. I would go on forums like HT etc and try to find threads where people have this done custom and ask them. You will mostly likely have to ship it. Duplicolor may have may this stuff in a can, I thought. You could try that, maybe. Thanks KC. I want to either get my wheels neo chromed on the face or just on the lip of my wheels. Could be a love or hate opinion on the looks but I want a different look and I like the way neo chrome looks. Probably have to find someone out of state, Dex. Good luck man! Might be easier off selling your set and buying one already done. Less headache! Good luck! ^^this, i have read that the neochrome finish is pretty pricey, and most people just end up buying new or something else. guy on 8th was trying to get some wheel bolts done and when he got quoted, the amount was so much that he ended up just ordering brand new ones. ^ ya i would just buy new wheels lol. anything custom going to cost a arm and leg compare to off shelf stuff. Thanks guys. 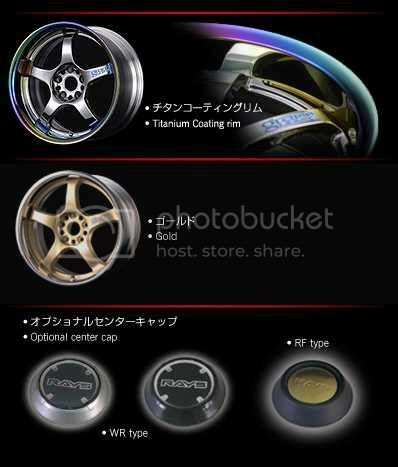 I want the rays gram light wheels in Neo chrome but figures they don't sell them in 16". I'll probably try and contact them and see if they can get them. Probably going to be out of my price range though. Thanks Jose! I contacted them for a quote. Waiting for a response now. Hope the price isn't to crazy. Nope. Messaged them again and still nothing. This website offers Aurora coating, pretty much the same thing as neo-chrome. I bet these guys will be faster to respond than dippedparts. Was debating on picking up a k valve cover from them, but changed my mind. Good luck and keep us updated on this.